Timothy James Bottoms (born August 30, 1951) is an American actor and film producer. He is best known for his role as Sonny Crawford in The Last Picture Show where he and his fellow co-stars, Cybill Shepherd and Jeff Bridges, rose to fame; and for his role as James Hart, the first-year law student who battles with Prof. Kingsfield, in the film adaptation The Paper Chase . 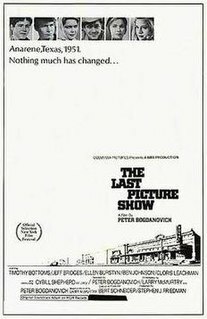 The Last Picture Show is a 1971 American drama film directed and co-written by Peter Bogdanovich, adapted from a semi-autobiographical 1966 novel The Last Picture Show by Larry McMurtry. Cybill Lynne Shepherd is an American actress, singer, and former model. Shepherd's better-known roles include Jacy in The Last Picture Show (1971), Kelly in The Heartbreak Kid (1972), Betsy in Taxi Driver (1976), Maddie Hayes on Moonlighting (1985–1989), Cybill Sheridan on Cybill (1995–1998), Phyllis Kroll on The L Word (2007–2009), Madeleine Spencer on Psych (2008–2013), Cassie in the television film The Client List (2010), and Linette Montgomery on The Client List (2012–2013). 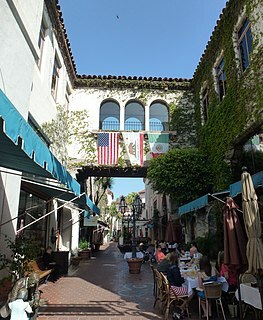 Bottoms was born in Santa Barbara, California, the eldest of four sons of Betty (née Chapman) and James "Bud" Bottoms, who is a sculptor and art teacher. He is the eldest brother of actors Joseph Bottoms (born 1954), Sam Bottoms (1955–2008) and Ben Bottoms (born 1960). 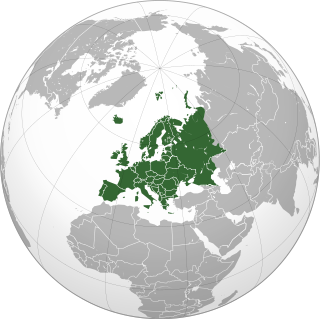 In 1967, Bottoms toured Europe as part of the Santa Barbara Madrigal Society. Joseph Bottoms is an American actor who won the 1975 Golden Globe Award for New Star Of The Year - Actor for his role in The Dove. He is also perhaps best known for his roles in the television mini-series Holocaust and Disney's The Black Hole. Samuel John Bottoms was an American actor and producer. 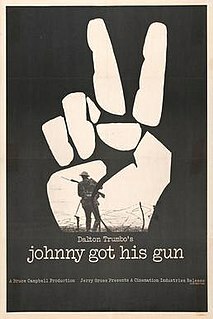 Bottoms made his film debut in 1971 as Joe Bonham in Dalton Trumbo's Johnny Got His Gun . The same year, he appeared alongside his brother Sam in The Last Picture Show . (He portrayed the same character in the 1990 sequel Texasville ). In 1973's The Paper Chase, he starred as Harvard law student Hart facing the fearsome Professor Kingsfield (John Houseman). Among the other films he has appeared in are Love and Pain and the Whole Damn Thing (1973), The Crazy World of Julius Vrooder (1974), Operation Daybreak (1975), A Small Town in Texas (1976), Rollercoaster (1977) Hurricane (1979), Invaders from Mars (1986) and Elephant (2003). Texasville is a 1990 American drama film written and directed by Peter Bogdanovich. Based on the novel Texasville by Larry McMurtry, it is a sequel to The Last Picture Show (1971), and features Jeff Bridges, Cybill Shepherd, Cloris Leachman, Timothy Bottoms, Randy Quaid, and Eileen Brennan reprising their roles from the original film. Bottoms has the unique distinction of portraying U.S. President George W. Bush in three widely varying productions. In 2000–2001, he played a parody of Bush in the Comedy Central sitcom That's My Bush! ; he subsequently appeared as Bush in a cameo appearance in the family film The Crocodile Hunter: Collision Course . Finally, following the September 11, 2001 attacks, Bottoms once again played Bush, this time in a serious fashion, in the telefilm DC 9/11 , one of the first movies to be based upon the attacks. During an episode of the Fox television show That '70s Show in which a tornado warning has been issued and the students of the high school are trapped, Bottoms is seen as the panicking principal. He appeared in a recurring role during the first season of the FX series Dirt as Gibson Horne, who owned the magazine that series main character Lucy Spiller worked for. He also co-produced the documentary Picture This – The Times of Peter Bogdanovich in Archer City, Texas (1991), a behind-the-scenes work about the making of the films The Last Picture Show and Texasville. In the documentary, he revealed that he had a crush on his co-star Cybill Shepherd during The Last Picture Show, but she did not reciprocate his romantic feelings, even though she said in a separate interview that she found him "very attractive". He was also heavily featured in the Metallica video for "One", which featured footage of the film Johnny Got His Gun. Peter Bogdanovich is an American director, writer, actor, producer, critic and film historian. He is part of the wave of "New Hollywood" directors, and his most critically acclaimed and well-known film is the drama The Last Picture Show (1971). Larry Jeff McMurtry is an American novelist, essayist, bookseller, and screenwriter whose work is predominantly set in either the Old West or in contemporary Texas. His novels include Horseman, Pass By (1962), The Last Picture Show (1966), and Terms of Endearment (1975), which were adapted into films earning 26 Academy Award nominations. His 1985 Pulitzer Prize-winning novel Lonesome Dove was adapted into a television miniseries that earned 18 Emmy Award nominations, with the other three novels in his Lonesome Dove series adapted into three more miniseries, earning eight more Emmy nominations. McMurtry and cowriter Diana Ossana adapted the screenplay for Brokeback Mountain (2005), which earned eight Academy Award nominations with three wins, including McMurtry and Ossana for Best Adapted Screenplay. The Paper Chase is a 1971 novel written by John Jay Osborn, Jr., a 1970 graduate of Harvard Law School. The book tells the story of Hart, a first-year law student at Harvard, and his experiences with Professor Charles Kingsfield, the brilliant, demanding contracts instructor whom he both idolizes and finds incredibly intimidating. Joe Don Baker is an American character actor and a life member of the Actors Studio. He established himself as an action star with supporting roles as a mysterious cowboy drifter in Guns of the Magnificent Seven (1969), and as a deputy sheriff in the western Wild Rovers (1971), before receiving worldwide fame for his iconic roles as a mafia hitman in Charley Varrick (1973), real-life Tennessee Sheriff Buford Pusser in the classic action film Walking Tall (1973), brute force detective Mitchell in Mitchell (1975), deputy sheriff Thomas Jefferson Geronimo III in Final Justice (1985), and as chief Jerry Karlin in the action-comedy Fletch (1985). Lawrence Pressman is an American actor, probably best known for roles on Doogie Howser, M.D., Ladies' Man, a recurring role on Profiler, the title character on Mulligan's Stew and as a fictional scientist in the 1971 film The Hellstrom Chronicle. Barry Spikings is a British film producer who worked in Hollywood. Spikings is best known as a producer of the 1978 film, The Deer Hunter, which won five Academy Awards. Daniel Henry Edward Thompson is an English multi-instrumentalist best known as a double bassist. He has had a long musical career playing with a large variety of other musicians, particularly Richard Thompson and John Martyn. The Crocodile Hunter: Collision Course is a 2002 Australian-American adventure comedy film based on the nature documentary television series The Crocodile Hunter. It stars Steve Irwin and his wife Terri Irwin and was directed by frequent Irwin collaborator John Stainton. The film was released in between the fourth and fifth seasons of the series. Collision Course follows Steve and Terri who attempt to save a crocodile from "poachers" not knowing that the two men are actually American Central Intelligence Agency (CIA) agents who are after them because the crocodile in the Irwins' possession has accidentally swallowed an important satellite tracking beacon. Stephen Bastoni is an Italian Australian actor. He is best known for his role as Constable Yannis 'Angel' Angelopoulos in Police Rescue and as Steve Parker in Neighbours. The Paper Chase is a 1973 film starring Timothy Bottoms, Lindsay Wagner, and John Houseman, and directed by James Bridges. William West McNamara is an American film and television actor. Mary Marr "Polly" Platt was an American film producer, production designer and screenwriter. Donn Cambern is an American film editor. Cambern was born in Los Angeles, California, and obtained a B.A. in music from UCLA. In 2007, Cambern was senior filmmaker-in-residence at the American Film Institute Conservatory. Bill Thurman was an American film and television actor. From the early 1960s until his death in 1995, he frequently appeared in B movies and independent films, often playing "redneck types" or sheriffs. He worked with low-budget-director Larry Buchanan on numerous films, for example In the Year 2889 and 'It's Alive!'. Thurman was one of those Southern actors who were specialized in so called "regional" pictures, films which were made exclusively for distribution in the Southern States. 1 2 "Bottoms Up – Vol. 55 No. 21". 28 May 2001. Retrieved 30 May 2017. ↑ "Sam Bottoms". www.nndb.com. Retrieved 30 May 2017. ↑ Gliatto, Tom. "Bottoms Up", People, Vol. 55, No. 21, 28 May 2001. ↑ "Picture Perfect". 20 January 2013. Retrieved 30 May 2017. ↑ "On the Trail of Foxhunt". GamePro . No. 87. IDG. December 1995. pp. 38–40.